TOKYO - Japanese Prime Minister Shinzo Abe will ask the United States and South Korea to conduct a planned joint military drill after the Pyeongchang Winter Olympics without scaling it down so as to keep pressuring North Korea to give up its nuclear and missile development, a Japanese government source said Saturday. The matter will be discussed when U.S. Vice President Mike Pence meets with Abe in Tokyo before heading to the opening ceremony of the Olympics, and they are expected to agree on the need to conduct the drill as normal, the source said. Abe and Pence will convey their shared view to South Korean President Moon Jae In when they hold talks in Pyeongchang, according to the source. The United States and South Korea have agreed to delay annual joint military exercises until after the Feb. 9 to 25 games and the March 9 to 18 Winter Paralympics in South Korea. North Korea, which plans to send athletes, cheerleaders and officials to the Olympics, has opposed the drills, describing them as preparations for invasion. Signs of easing tensions have emerged on the peninsula since North Korean leader Kim Jong Un struck a conciliatory note on relations with South Korea in his New Year's address amid tensions over Pyongyang's continued development of nuclear and ballistic weapons. 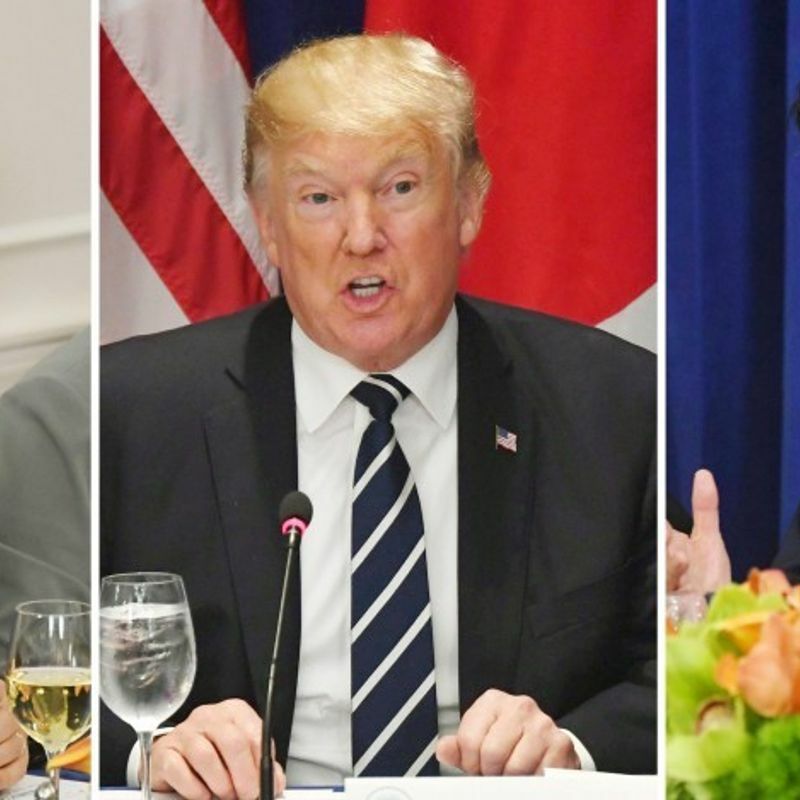 Abe has been calling on the international community to maximize pressure on Pyongyang and reject dialogues unless the reclusive state ends provocations and shows actions toward denuclearization.